Destin Sparks is an award-winning landscape photographer, dedicated to capturing nature’s grandeur in an evocative, powerful way. Destin’s patience, skill and affinity for nature makes him one of Australia’s most inspirational landscape photographers. Explore and fall in love with the grace and wonder of the natural world, through Destin’s award-winning landscape photography. Whether for investment or pleasure, choose your next piece of fine art from Destin’s series of photographs. Pack your camera and a sense of adventure, and discover one of Australia’s most inspiring landscape photography tours. Exciting, handcrafted tour itineraries provide endless opportunities to hone your landscape photography skills. Destin Sparks is an award-winning landscape photographer and social media influencer based in Queensland, Australia. Sparks’ passion for photography and Mother Nature were uncovered in 2009 when a workplace bet among colleagues saw his hidden photographic talent emerge. Despite being entirely self-taught, Sparks is an accomplished landscape photographer with over 70 awards and accolades. 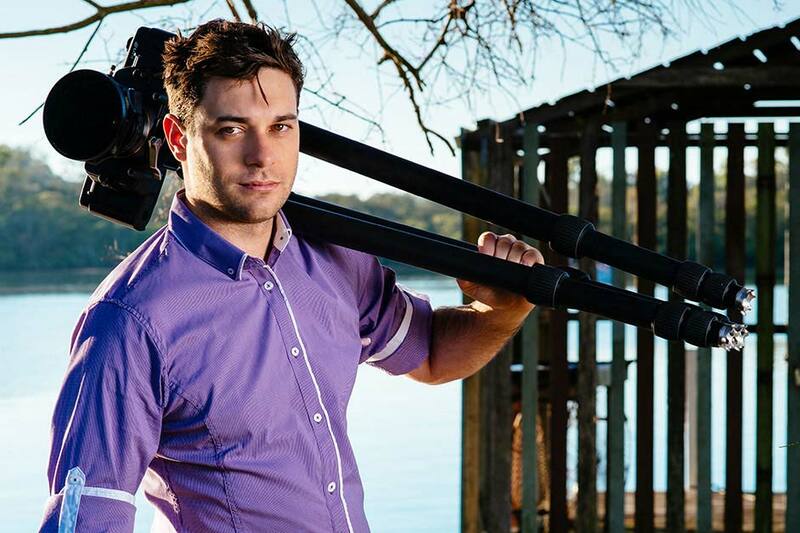 His photography has caught the attention of national and international media; National Nine News, Australian Broadcasting Corporation, Australian Financial Review, News.com.au to name a few. Best known for his panoramic landscape photography captures on traditional slide film, Sparks relies solely on well executed timing rather than resorting to Photoshop, coloured filters or digital manipulation. His continued dedication to analogue photography inspires many landscape enthusiasts and professionals alike. One of the keys to the Australian landscape photographer’s success is printing extremely large. “Fine art prints should immerse the viewer and captivate its audience” Sparks writes. Thank you for reading, I welcome you to view the Gallery and discover my artwork. If you wish to learn more, please connect with me.